This Beautiful wide brimmed hat is perfect for anyone who likes a swooping brim that creates a stunning, elegant silhouette. 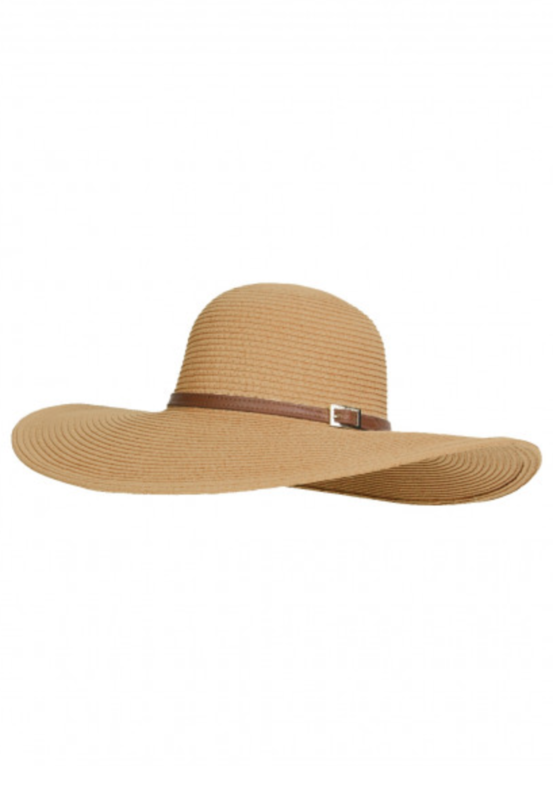 The natural shade of cream of this wide brimmed hat is complimented with a brown band and buckle design detail. The Jemima is the perfect hat to complete any outfit with an effortless finish. Due to the delicate nature of the fabric, to ensure your Melissa Odabash Hat stays in perfect condition, we advise that most pieces bought from our website are hand-washed with a very mild detergent, reshaped whilst wet & laid flat to dry, away from strong sunlight; take extra care with any embellishments or trims.